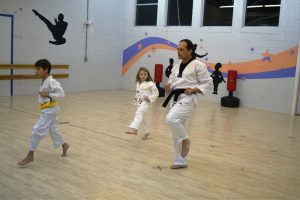 Learn discipline, the art of martial arts, and have a great time doing it! For the Martial Arts Schedule, visit the Schedule Page. Taekwondo instills discipline, etiquette, respect and self-confidence. Techniques in combat and self defense include sparring, throwing, falling, breaking and meditation. 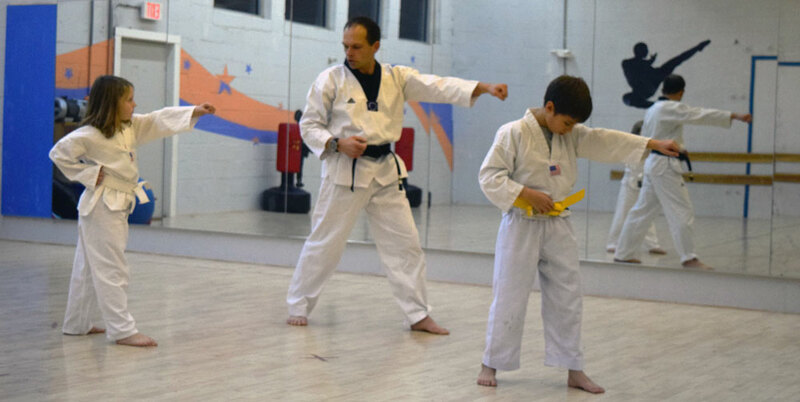 Shiloh Schulte heads up our Taekwondo Program and has been training since 1996. Shiloh trained at the University of Vermont for several years and received his 1st Dan (black belt) and then two years later received the rank of 2nd Dan. Shiloh was an active competitor in college, competing on the Northeast college tournament circuit. 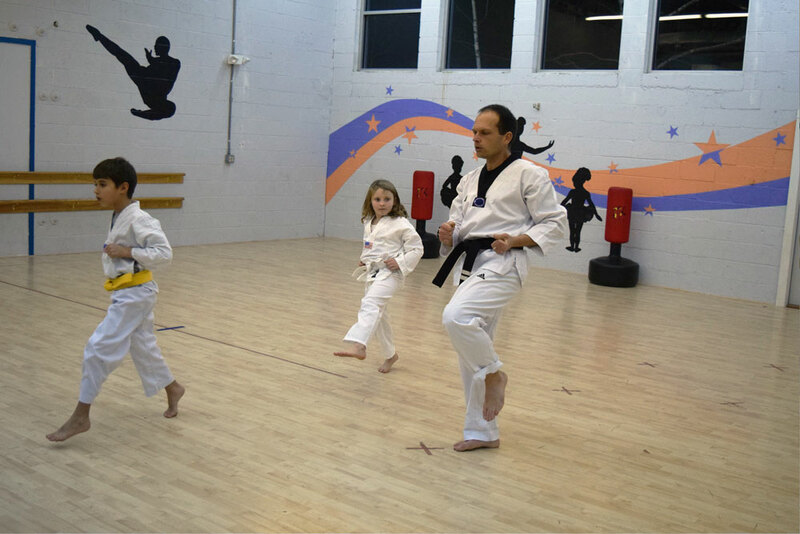 Shiloh’s wife, Shevaun who assists with classes began her training in middle school when she studied Kempo Karate. She received her black belt in Kempo in 1995 and was an assistant instructor for two years. Shevaun joined Taekwondo at UVM ultimately receiving the rank of 1st Dan. While at UVM she taught classes for the club and developed and taught Taekwondo courses for the University.